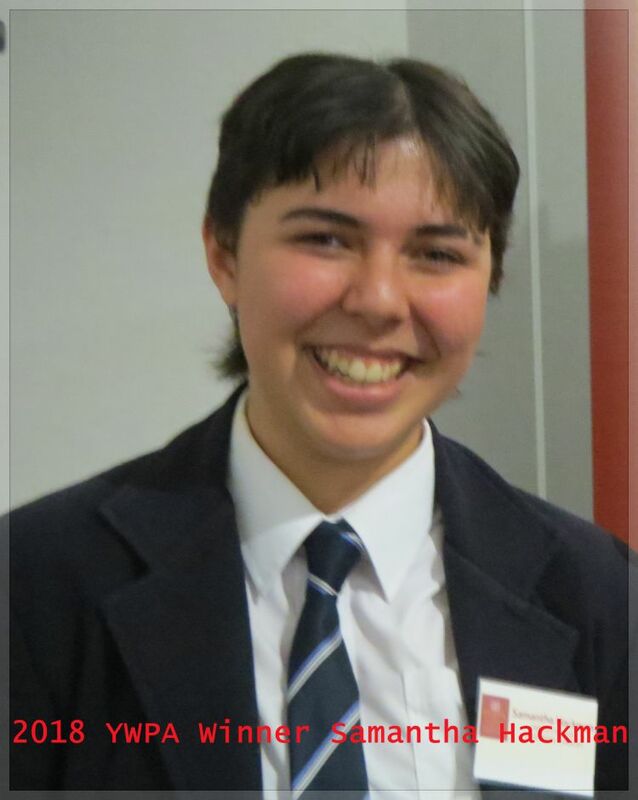 Watch the video presented by Maddy Barrett (2017 YWPA winner) explaining how easy it is to apply for this award and the process involved. 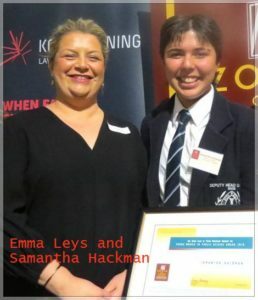 Perth College Year 12 student Samantha Hackman has won the 2018 Zonta Club of Perth Northern Suburbs’ $1,000 ‘Young Women in Public Affairs Award’. A cheque and certificate were presented at a lavish dinner for 92 at ‘Ambrose Estate’ Wembley on 5 September. 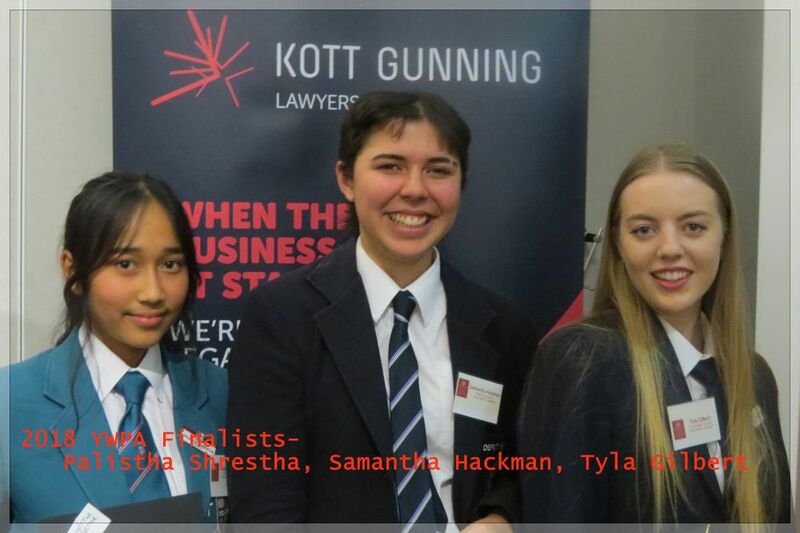 Western Australian law firm Kott Gunning has been a Gold Sponsor of the Awards since 2012. On the world stage she is a member of the United Nations’ Youth West Australia and has been selected to represent this State in Adelaide. “I am very excited to have the opportunity to discuss adult issues at the Conference”, she said. 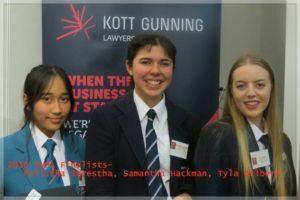 Past Winners and what are they up to now? Click and Watch the presentation to find out more. Zonta International believes that young women are the key to women’s advancement in the field of public service. 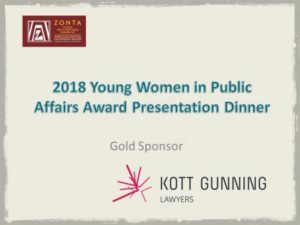 ZI offers the Young Women in Public Affairs (YWPA) Award, which recognizes young women, ages 16-19, for demonstrating leadership skills and commitment to public service and civic causes, and encourages them to continue their participation in public and political life. Support in Zonta International’s mission of empowering women worldwide through service and advocacy.